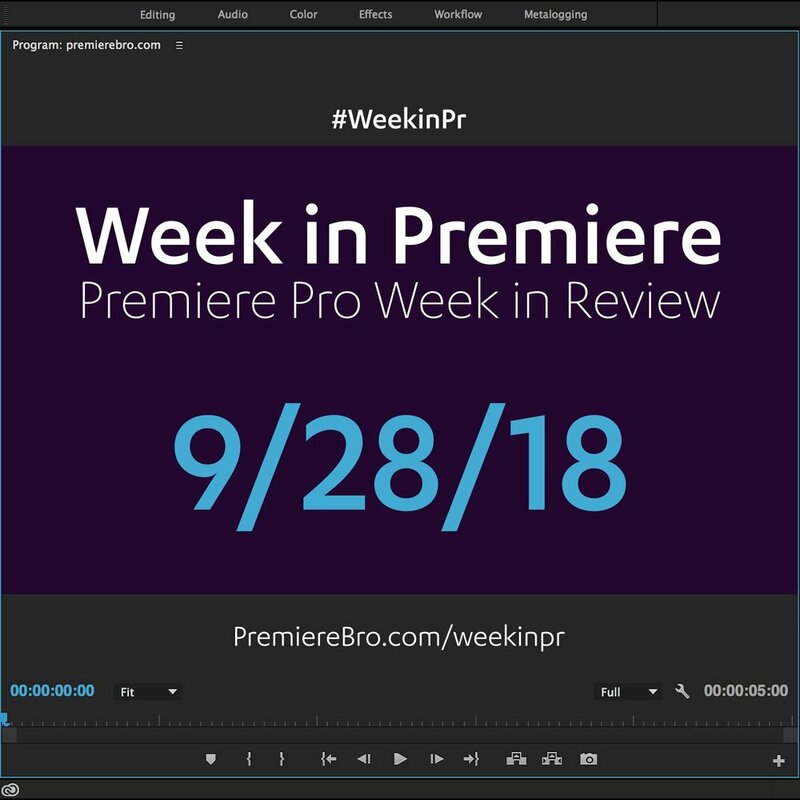 This was huge week for free Premiere Pro transitions and effect presets. (Also check out the Tutorials for 10 free track matte transitions.) Generosity is definitely contagious within the Premiere Pro user community! Make sure to support these creators by liking, commenting and subscribing to their social channels! Sept 24, 2018 — In this video, Chestnut Edits is giving away 4 free “invert distort” effect presets for Premiere Pro. See what they look like at 1:25 in the video. Sept 24, 2018 — In this video, AK Visuals is giving away a free flash transition preset pack for Premiere Pro. Watch the video to see them used in music videos. Sept 24, 2018 — In this tutorial, Kyler Holland teaches how to create an RGB edge effect using the Color Balance (RGB) and Lens Distortion effects in Premiere Pro. Sept 25, 2018 — In this tutorial, Ignace Aleya shows how to use the Project Manager in Premiere Pro to collect all your media files into one folder. This is useful for backing up and archiving completed projects.